You’ve probably heard of people burning sage to cleanse the energy of a room or space. But you may not have heard of Palo Santo wood. This South American tree is known as “holy wood” in Spanish, and it’s a powerful energy cleansing tool that I actually prefer to sage. It’s a hard aroma for me to describe - I’ve heard it called “citrusy” and “woodsy” and both of those feel true, but don’t really convey just how delicious it is. The only problem is, it’s increasing in popularity and the trees are scarce. 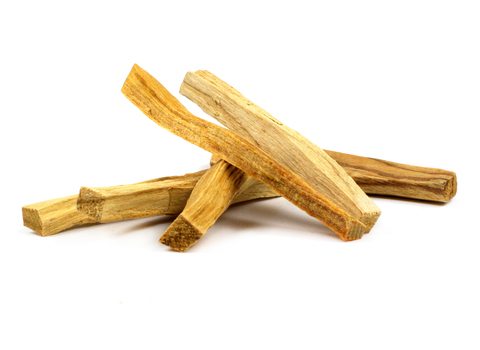 It’s important to be sure that you purchase sustainably farmed Palo Santo, so that we can be sure not to further endanger this amazing and spiritually essential plant. I recommend ordering from Mountain Rose Herbs - it’s a solid company that’s well-established and sustainable and ethical. Get your smudge on!